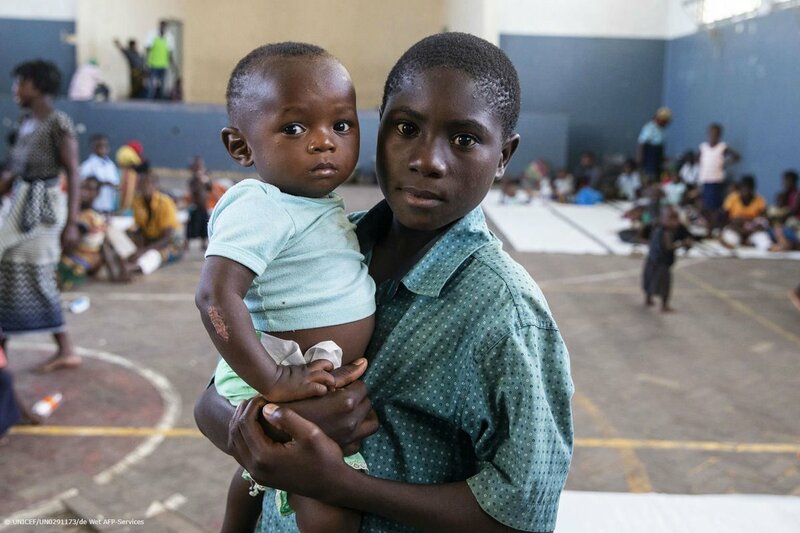 There are 1m children affected by #CycloneIdai and subsequent floods in #Mozambique. The final numbers may be much higher. We are in a race against time to help and protect children like Helcio and baby Anderson. In Beira, Mozambique, Helcio holds baby Anderson in a high school gym being used to shelter families who have lost their homes. Flooding, caused by #CycloneIdai, has destroyed homes and displaced thousands of families.